Production of reactive oxygen species (ROS) induced by exercise training yields serious oxidative damage to cellular structures. Antioxidant supplements are widely used to reduce the deleterious effects of such endogenous ROS. 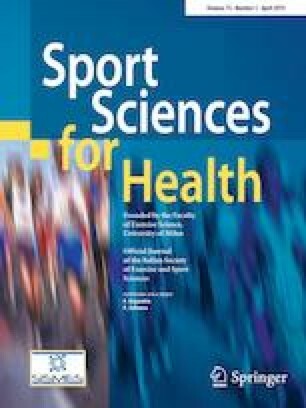 This study aimed to investigate the effect of two types of intensive exercise training along with α-tocopherol succinate supplementation on serum levels of 8-oxoguanine DNA glycosylase (OGG1), 8-hydroxy-2′-deoxyguanosine (8-OHdG), creatine kinase (CK), and lactate dehydrogenase (LDH). Forty-two male albino Wistar rats were randomly assigned into sedentary control (SC), sedentary vehicle (SV), sedentary supplementation (SS), continuous exercise (CE), continuous exercise + supplementation (CES), intermittent exercise (IE), and intermittent exercise + supplementation (IES), with six rats in each group. Intensive continuous and intermittent running on treadmill, combined with α-tocopherol succinate supplementation (60 mg/kg/day) was carried out for 6 weeks. Data were analyzed using one-way analysis of variance at P < 0.05 level. α-Tocopherol succinate supplementation increased serum total antioxidant capacity (TAC) in SS, CES and IES groups. CK, LDH, and OGG1 levels increased significantly in CE and IE groups; however, α-tocopherol succinate supplementation reduced these factors dramatically in CES and IES groups. In addition, 8-OHdG level was remarkably lower in CES and IES groups. Taken together, α-tocopherol succinate supplementation can modify oxidative damage to genomic structures induced by intensive exercise training. We thank the staff of the biochemistry laboratory at Gonabad University of Medical Sciences for their valuable assistance with us in carrying out the biochemical assays. HT, SH-AE, and ZN and conceived the study and its design and coordination. All authors were involved in the data collection, data analysis, and drafting of the manuscript. In addition, all authors read and approved the final version of the manuscript, and agreed with the order of presentation of the authors. All methods performed in the study were in accordance with ethical standards of the national research committee and with 1964 Helsinki Declaration. There is no informed consent for this study scince the study was not conducted on humans.